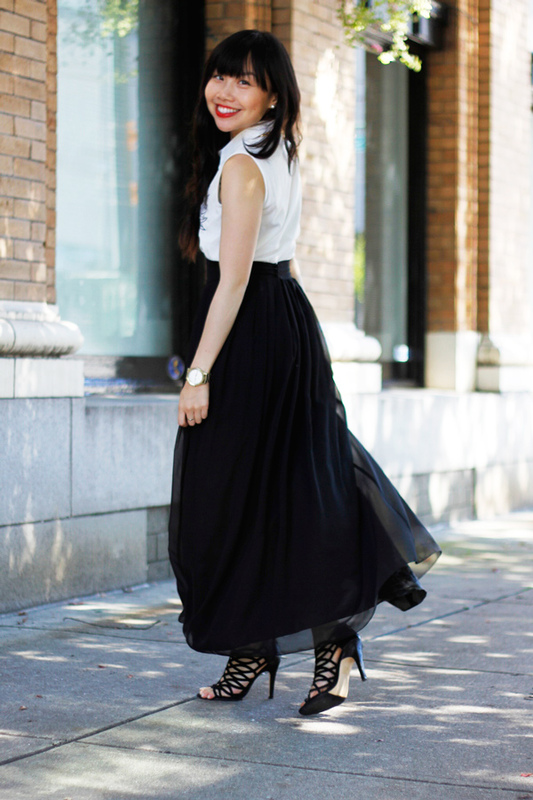 Though I do closet purges several times a year, there are certain pieces in my wardrobe that I know I’ll never get rid of… and this maxi skirt is a prime example of that. I’m not much of a vintage shopper, so that made it all the more special when I stumbled upon this skirt a few years ago. Something about putting on a one-of-a-kind piece from another era and having it fit perfectly feels like the ultimate shopping success, and it remains one of my favourites to this day. I love that it’s breezy, it has great details, and perhaps the best thing about it – the pleats make it a perfect piece to twirl in. So pretty! The high waist definitely gives an illusion of height! beautiful!! love ur top and that skirt is gorgeous! 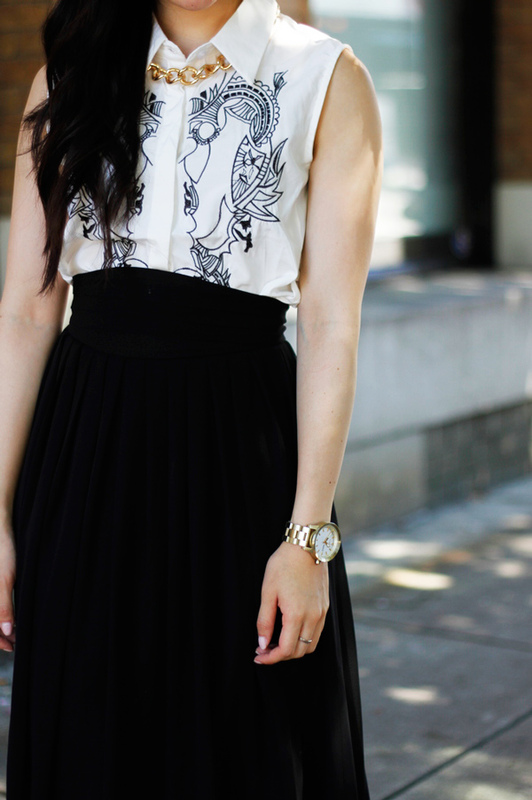 Gorgeous skirt and blouse! 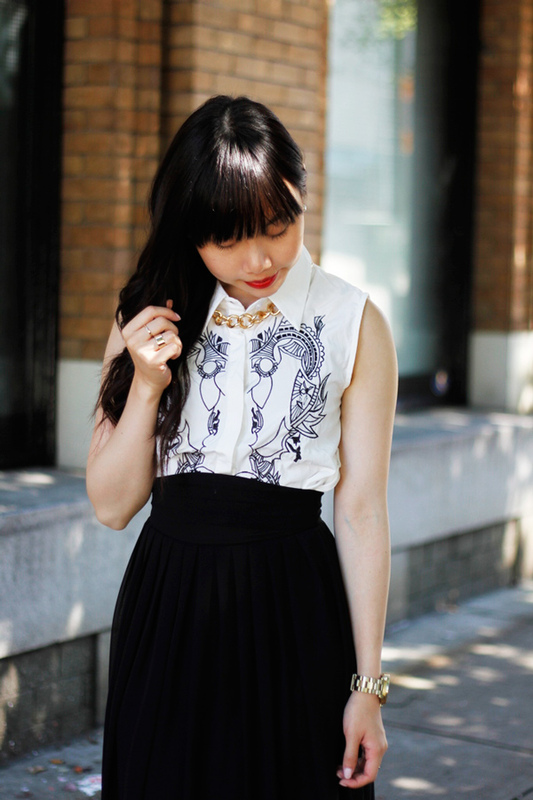 Love how effortlessly chic this ensemble is…and love the gold necklace! Love that skirt! such a great vintage find! That is the ultimate find! You look like a modern day princess, that skirt is pure love! 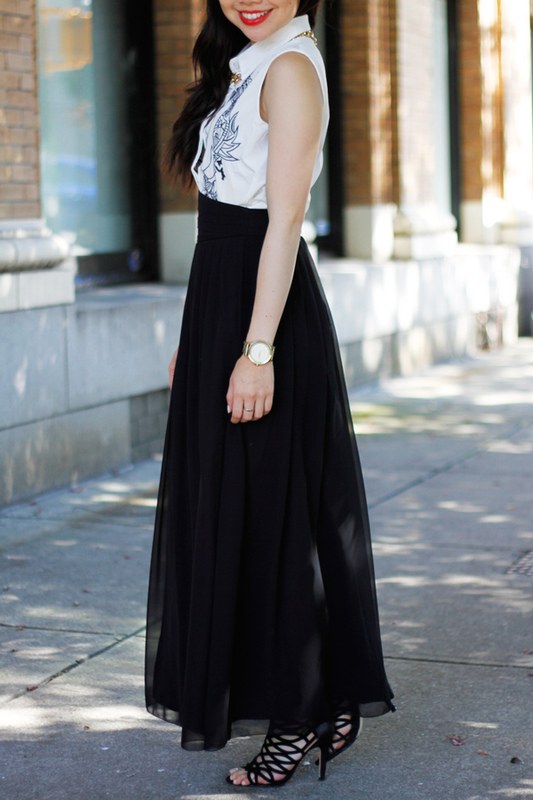 I’m always a little critic about maxi skirts, but on you, it just looks super perfect on you! 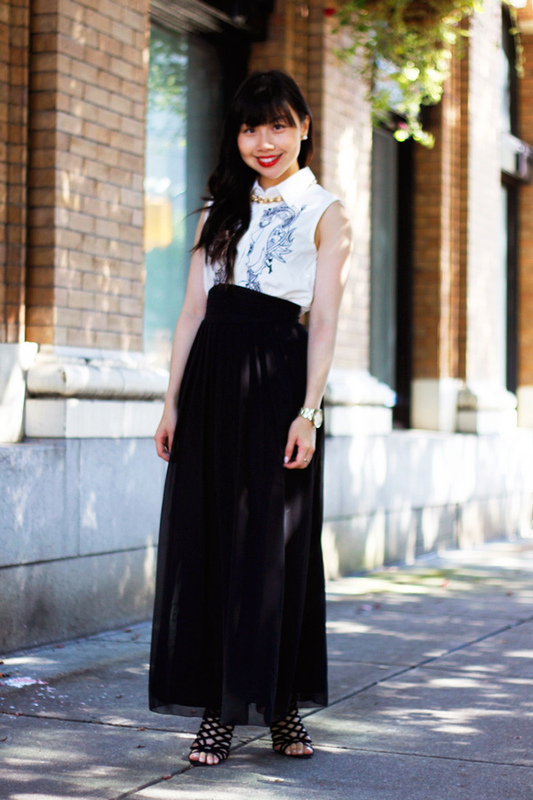 Seriously, this skirt is gorgeous on you! I love the top, pretty details.